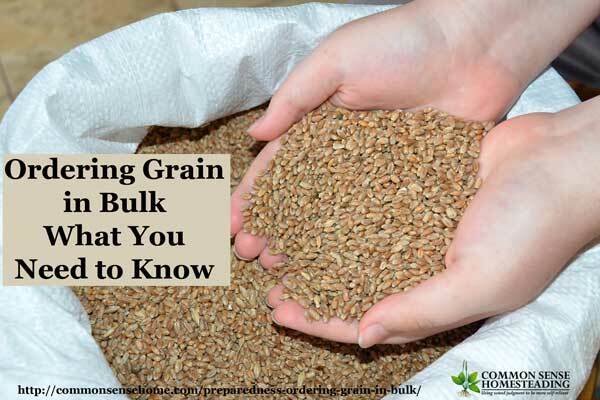 Bulk grains are a classic preparedness storage food because they have great shelf life. Whether you're buying quinoa, rice or other gluten free grains, or stocking up on wheat berries for delicious homemade bread, buying bulk grain is a great way to save money, too. Food prices are only likely to increase and bad weather and increasing demand put more pressure on food supplies, so stocking up your pantry now makes sense. I originally wrote this back in 2011 after organizing a very large bulk grain order, directly from a mill. This is a great option if you have a large group that you can pull together for a grain buy, and don't have a buying club in that already includes bulk grain, or would simply like to take advantage of the best bulk grain pricing. This is especially true if you are buying bulk organic grains. 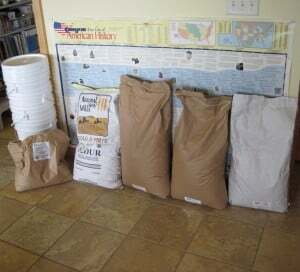 To make this a little more user friendly for those who are in a hurry, I'll start out with my top 12 “lessons learned/things to avoid” when organizing a bulk grain buy, tips for bulk grain storage and a short list of companies that I or friends have ordered bulk grain from at one time or another. Then I share the crazy grain buying saga for those who want to know all the details. Check out your supplier, and make sure they are reputable. Get shipping estimates, and check weights, and make sure they know you are a residential delivery. This seemed to be a HUGE problem area for my shipment. Have folks prepay for their order, even if you don't deposit the checks until the grain is received. I let one person skip prepaying, and I barely got the check in time to cover the credit card payment for the order. Try to get folks to submit their orders in a format that matches the order form that you will need to fill in. If possible, get everyone ordering from whatever order form is used by the company. Put individual orders in a spreadsheet, and check off payments as they come in. Get a copy of your invoice ASAP, as soon as you submit your order to the company, before the products ship, to confirm that you actually got what you ordered. Double and triple check with the shipping compan(ies) to confirm order date and time. Print out a master list of all items on the order and have it on hand when unloading to confirm that every thing has shipped. Print out two copies of individual orders, one to pack with the sorted order, and one to keep in reserve for you to check off orders as they are picked up. Plan for storage of your grain and other items. First, for the entire order when it comes in, then for long term storage of your items. You may want to charge a nominal fee for your time spent coordinating the order. This ate up a lot of hours, and I really wish I had known in advance how much time it would take. You may also end up eating extra costs, depending on who you order with, so just know what you're getting into. If you allow people to split larger quantities (share a 25# bag of dried peas, for instance), don't be surprised if you end up with odds and ends to fill out those splits. either that, or be willing to talk someone else into taking them, or tell people they can't have what they want, which makes them grumpy. Try to keep your grain away from areas that are high in humidity. If you plan on storing your grains in the garage or a shed, set your containers on boards so they won't be in direct contact with concrete or the ground. Also, keep your grains away from bright lights. 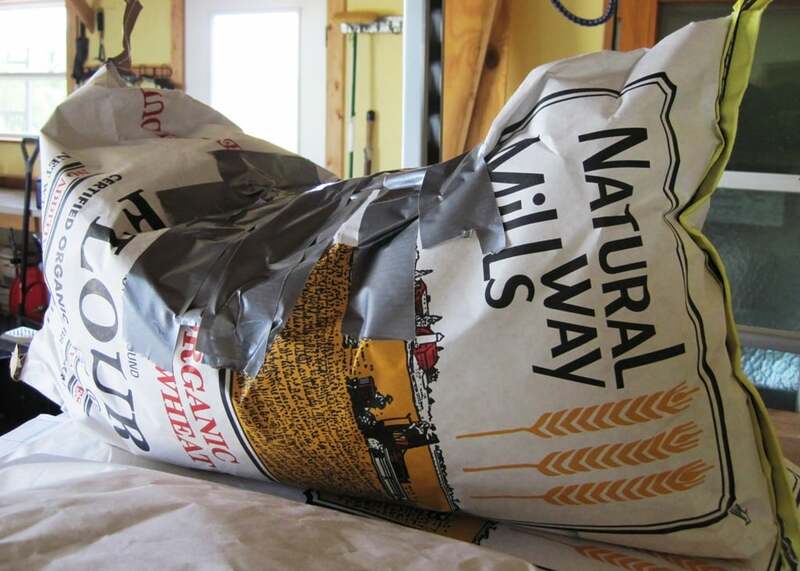 Before storing bulk grain, first fill most of your 5-gallon container and place a section of a brown paper bag on the grain. On top of that, set one fourth of a pound of dry ice. Press the lid gently down on the container so that some of the air can escape. When the dry ice has completely evaporated, remove the brown paper and seal the container. The carbon dioxide released from the dry ice should kill all animal life in the container. When storing bulk grain, keep it in your freezer and it will kill all the live insects. Unfortunately, it won't kill the eggs, so freeze your wheat and then leave it out at room temperature for 30 days. Then refreeze your wheat. This should kill any insects that have hatched since the last freeze. For each 5-gallon container, put one and one fourth cup of diatomaceous earth. Then seal the container and roll it around until the dust is evenly distributed. For smaller quantities, I also employ vacuum sealing in five pound increments. No air = no bugs. Please do take steps to prevent infestation – it is not pleasant. I lost the first bulk grains that I ever purchased to weevils. Ugh! It is generally much less expensive to buy your grain in bulk and repack it yourself in food grade buckets. 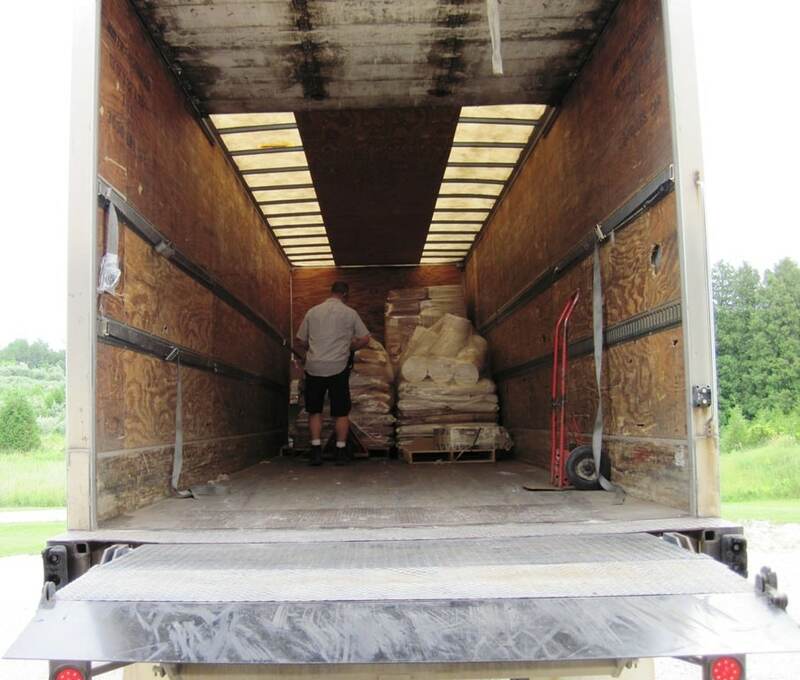 For extended storage, you want grain with a moisture content of 10% or less. Freshly threshed “field grade” grain has a moisture content of 14-16% and must be dried. Natural Way Mills specifically dries their grains for extended shelf life (as will most quality bulk food suppliers). 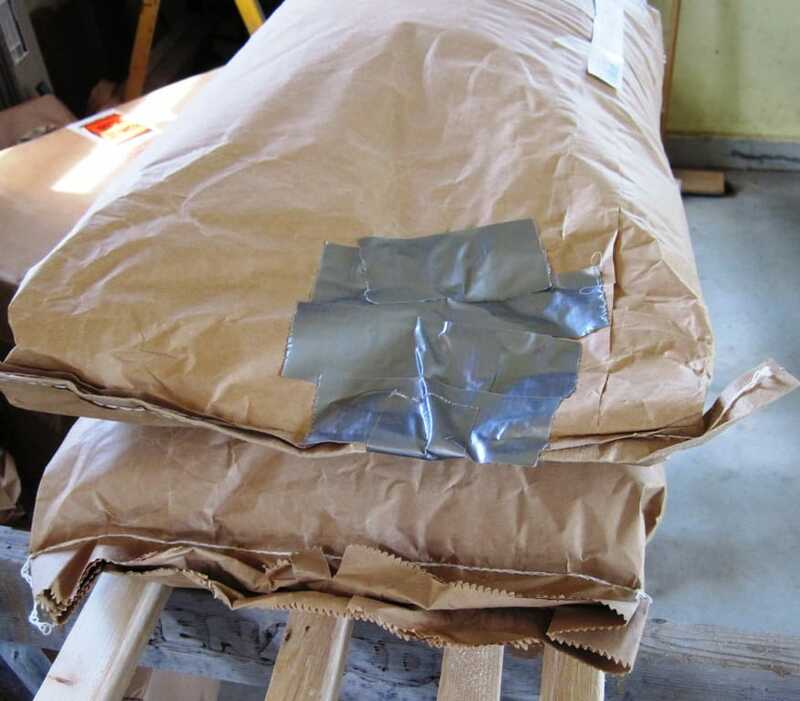 Adding oxygen absorbers to your bulk food storage will also extend shelf-life, as oxygen leads to rancidity. No oxygen = no oxidation. 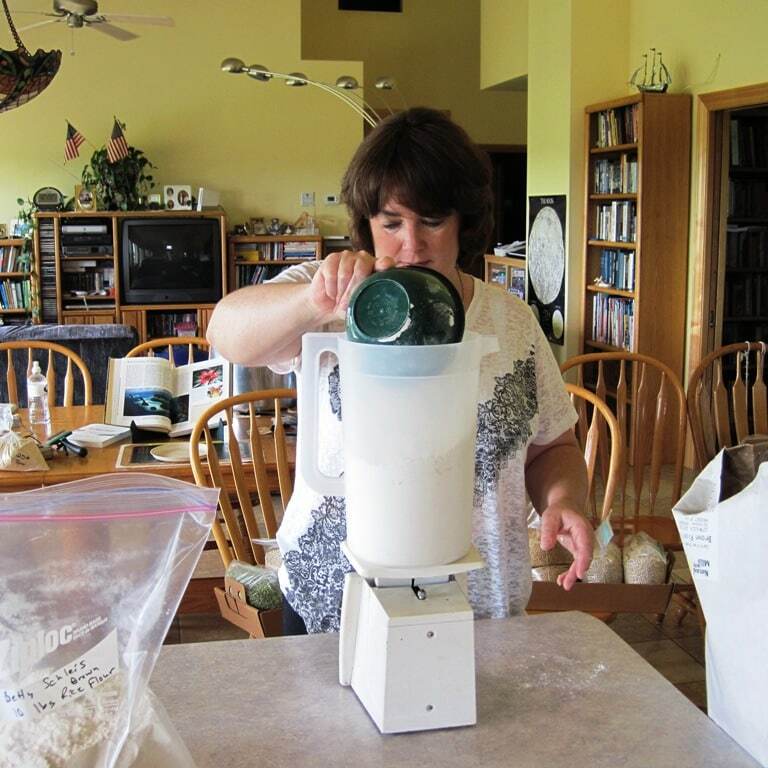 Grinding grain for flour or grinding your own grits or cornmeal, require a home grain mill. I have a reviewed of several manual grain mills at “Home Grain Mills – Comparison of Manual Grain Grinders for the Home“. 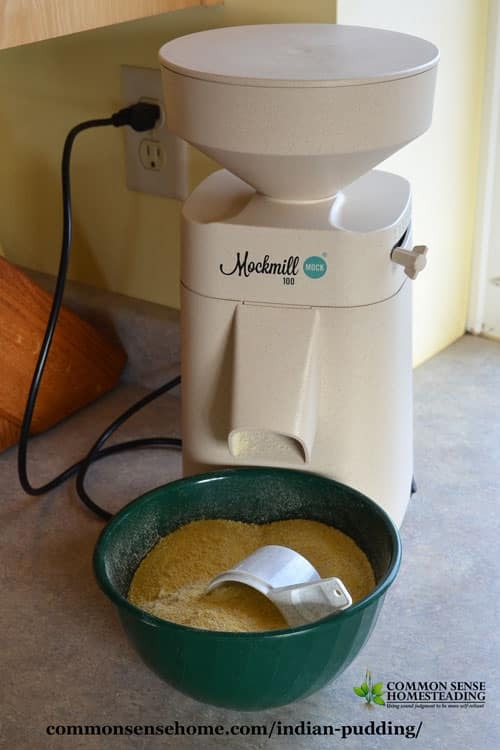 I'm currently using the Mockmill 100 stone grain mill and the Mockmill Kitchenaid Grain Mill Attachment. You can review and compare the Mockmill products at https://commonsensehome.com/allmockmills. The KitchenAid attachment is fine for small jobs, but for any regular amount of home milling, I highly recommend the Mockmill 100. It's much faster, doesn't take up much room on your countertop, and you won't burn out your mixer motor if you grind a lot of grain. Below is a shot of ours grinding up some cornmeal for Indian pudding. BePrepared.com – Shipping charges of between $6-12 to ship anywhere in the lower 48 states. Order what you want, when you want it, delivered to your door. UNFI – United Natural Foods – must order through a buying club. Shipping charge based on total order volume. 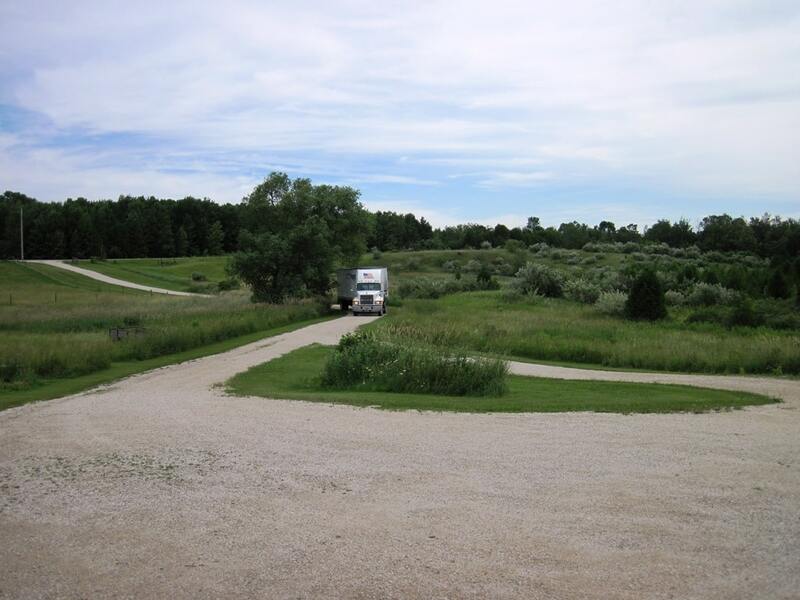 Country Life Natural Foods – Free delivery on their trucks to established routes in Michigan, Northwest Indiana, Illinois, Wisconsin, Minnesota, Iowa, Missouri, Oklahoma, and Arkansas. MINIMUM ORDER REQUIREMENTS: There is a $400.00 minimum order ($500.00 for certain routes where indicated). Special arrangements for orders of $350.00 (or $450.00 for designated routes) can be made but will be charged a $20.00 surcharge. 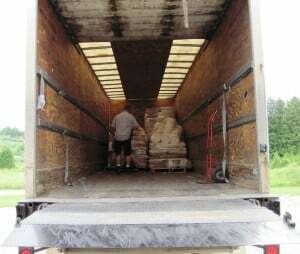 Orders smaller than $350.00 ($450.00) cannot be delivered by their trucks. Azure Standard – 8.5% shipping charges, monthly drop offs at predetermined locations around the U.S.
Several friends were interested in getting in on a bulk grain order, but no one really had an urge to organize it, so I figured I'd give it a shot. I've never done this before, and I'm going to admit, after this experience, I'm not in a rush to do it again. That said, it is indeed a bit like giving birth. It was painful at times and the bad parts seemed to last forever when they were happening, but now the “baby” is here and is good, the bad memories are fading, and the good ones are taking their place. It all started back in May with discussions about where to order. I decided to try Natural Way Mills due to their product quality (everything is organic), pricing (even with shipping, the price was good), and a strong recommendation from a friend who had been a part of another bulk order group about an hour from here that had purchased from them for some time. The first thing I did was to send out a general information email with a link to the site I intended to order from, asking if people I know would be interested in a bulk purchase. 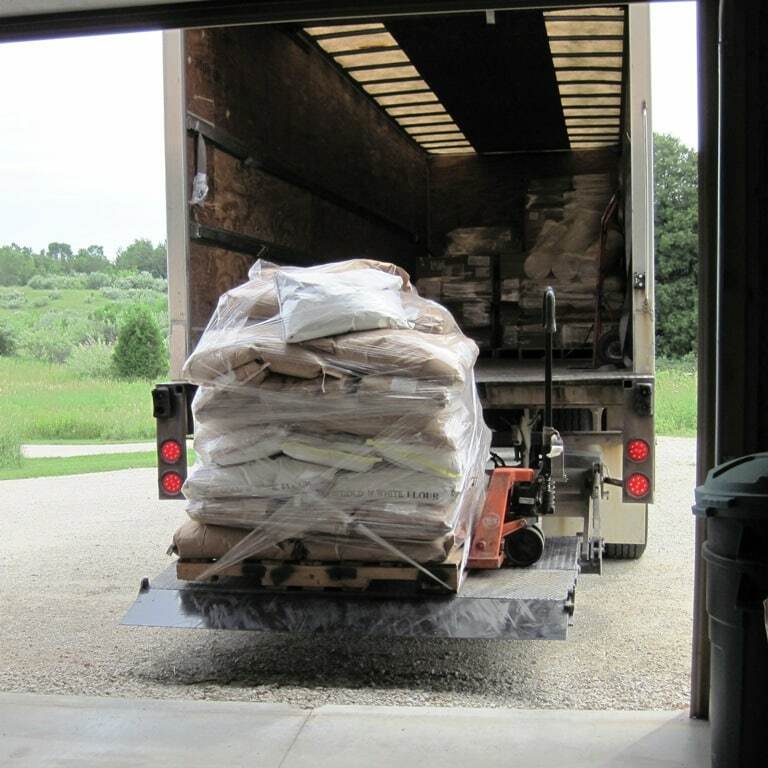 To get bulk rate shipping, you need to fill a pallet, which is 2500 or 2400 pounds, depending on where it is delivered (more on this later). I had a lot of people respond that they were interested who never ordered (don't count on orders until the money is in). The majority of my orders came from friends who had said in advance that they would order, and friends of friends with large families who had heard about the order through the grapevine. I based my decision to order on the large number of people who responded that they were interested, but without the “friends of friends” we never would have filled a pallet, let alone two. Based on the recommendation of the friend who had previous experience with Natural Way Mills, I set the shipping rate at 12 cents per pound. Orders will be accepted until Friday, June 24, 2011 and must be prepaid. Prices are current unless they need to get more stock in of something and there is a dramatic price jump. If there is a major price change up or down, I will contact you directly with the information. We are aiming for just under 2500 pounds total. This is the amount that can ship on one pallet, and will keep the shipping costs in line with the listed charge. And then it got a little more complicated…. The first quote is: 2,400# $144.52 + $140.75 for residential/lift gate= $285.27, then if there is an extra pallet it would be $145.00 after those fees – so for 2 pallets it would be $430.27. Notice – “residential/lift gate” is only 2400#, not 2500#. This had never been mentioned before. At this point, I already had over 2400#, without my order or the orders of a couple of close friends who I knew wanted to order but had just been delayed with family issues. Both quotes were higher than the initial quote, even though gas prices had gone down at this point. The second price quote was a lot higher, so there was no way we'd come in under budget with the S&H I had added to people's initial order. I decided to push to fill a second pallet to cover the shipping so everyone could get their order in. 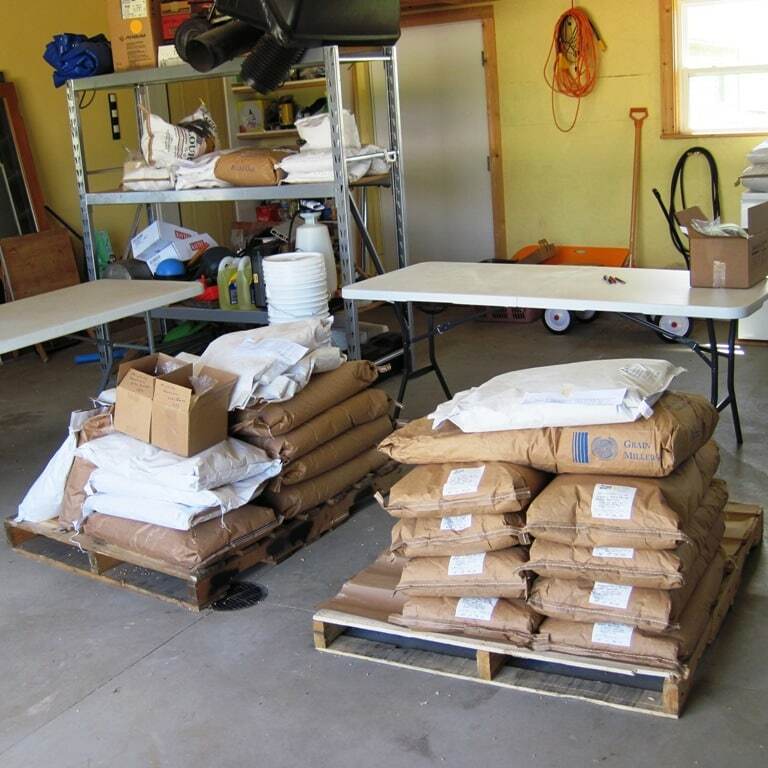 After a wild weekend, we ended up with an order 3544 pounds of grain, flour, sugar, salt and other items that was submitted on Tuesday, June 28, 2011. One question came in from Natural Way Mills – Could we take 50# of quinoa instead of 45? Sure. They confirmed the total cost of the order and I paid by credit card on 6/30/11, but they didn't send a copy of the final invoice. Hmmmmmm…I had asked to be contacted when the order shipped, but it was a week later and I still hadn't heard anything, so I contacted them on 7/6/11. Why yes, the order had shipped the day before. Hello, it did go out yesterday and the pro# is ###### – it shipped with Miracle Express -their phone # is 1-800-642-4618. I would imagine it will be there tomorrow, but you can call them and have them give you a better estimate on time. Around this time I start double checking my numbers versus the final bill from Natural Way Mills, and I realize things aren't adding up. There's around $80 in extra cost that I can't account for. I contact those who have ordered, and let them know there were additional costs and that the order was expected the next day. Most people were fine with paying a little extra if needed, but some were unpleasant. Half a dozen people planned to show up to help with the unloading. I contacted Natural Way Mills and asked for a copy of their invoice, to see if I could track down the price discrepancy. They started emailing it a page at a time – and then part way through realized some major errors had been made and stopped sending. The next day they sent a new copy. I then realized where the mistakes had been made. If you notice on your original order that you turned in – you have QTY and SIZE – then TOTAL WGT – we do not have 1# bags of certain items – it is 2# or more on most of these – so as an example – you have 5 for QTY Southern Wild Rice Blend and then in total weight 5#, which was assumed that you wanted 5/5# – it should have said 1 in QTY and then 5# in SIZE/LB, then total weight as you have it. Same with the salt – we do not sell it in 1# – we sell it in 2# – – so you will receive 6/2#. I challenge you to decipher this from their pdf price listing. We certainly didn't. How this justifies five 5# bags of rice I have no idea. (I did send a detailed note to Natural Way Mills offering suggestions on how to make their order form clearer to new customers.) Anyway, I started emailing to find homes for the excess while I waited for the truck – which never showed up that day. Emails and phone calls were coming in from people expecting to help sort or pick up their grain, and no truck. I had called the shipping company on Wednesday and they had said to expect it between 8am and noon on Thursday. Around 11am Thursday, I called them again, and they gave me the number of the subcontractor that they had transferred the load to, N&M Shipping. 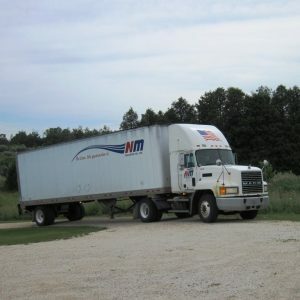 I called N&M Shipping, and was informed rather rudely that they only had a limited number of lift-gate trucks for residential deliveries, so I should have never been promised a delivery that day. She transferred me to appointments, where I left a message with my name, pro number and phone number. I called again at 1:45 and once again got the answering service, which told me they were in the office from 8:00 am to 5:00pm (but apparently don't answer their phones or check messages). Now, here's where I admit my one major screw up – I put the wrong phone number in one email, and of course that's the one that ended up on the order. So I'm told that the shipping company had been trying to reach me since late morning, but couldn't get through. Of course, when appointments finally checked their messages after 4pm, they found the correct number that I had left three times and were able to reach me. When I finally spoke with the reasonably pleasant lady from appointments, she told me that even if they had been able to make contact earlier in the day, they simply didn't have any trucks available until Monday, so the grain would have to sit in the warehouse in Neenah until then. She assures me that the driver will call when he leaves the warehouse, so I have time to contact the people who are coming to unload. Okay. Lots of phone calls and emails, and I've got people lined up to help unload Monday morning in the 90+F heat with high humidity. Monday comes, I'm waiting for the call…and waiting, and starting to get nervous. Finally, the phone rings. It's the driver, and he's in Stangelville, which is all of about two minutes from my house. ARgh! Two quick phone calls to the closest friends, one quick email to everyone else, and I'm out waving him into the driveway. He just now noticed the instructions to call ahead. Would you like a healthy dose of irony? Please check out the writing on the side of the truck. It says, “On time. 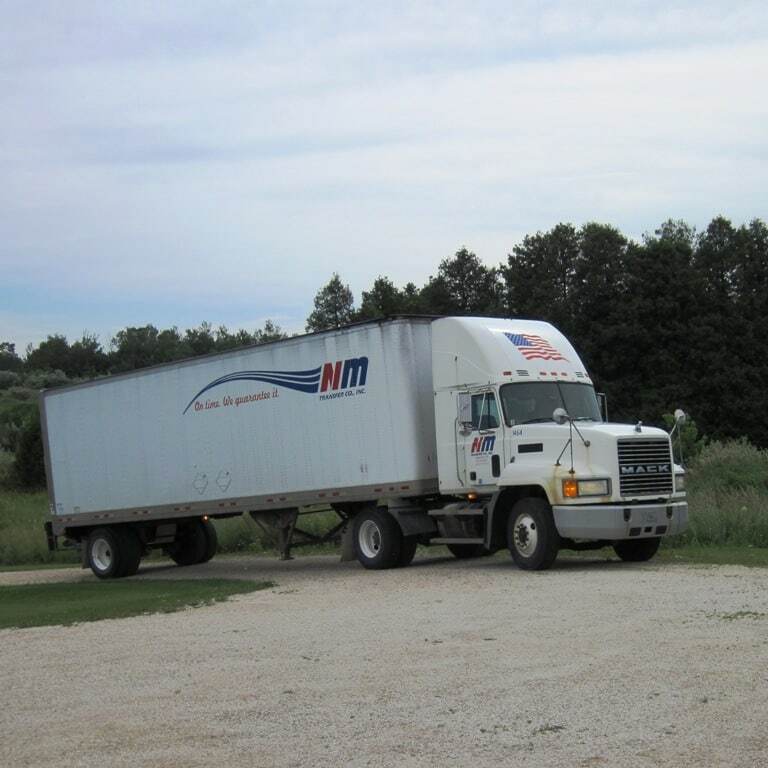 We guarantee it.” errr…sort of…unless there's a miscommunication and we don't actually have a truck available. The driver backs up and prepares to unload, and the closest friend shows up with her awesome kids, ready to help. (Thanks, Lisa!) Here's our two pallets, one full of grain, the other with grain, buckets, etc. Here's “the big one” – roughly 2400#. Lisa stepped in and got the kids sorting right away (confession: my boys got overwhelmed with all the commotion and had no idea what to do). Important note: If there is any damage to the product when it arrives, you must have the driver note the damage on the Bill of Lading (BOL) before they leave, otherwise you will not be reimbursed for any damaged product. (Even with the notes the driver made and photos, this is still questionable. I submitted a copy of the FOB, plus photos, plus weights of the damaged packages, and still have yet to hear anything positive back other than, “We will submit the claim.”) We could see grain and flour leaking as the pallet was unloaded. One bag had been taped with duct tape – I'm not kidding. The freight company said it had come from the mill this way, the mill said they never would have shipped that. All I know is that this is what it looked like when it arrived, and I've got a dozen witnesses to prove it. We had to tape a bag of wheatberries that lost about five pounds all over the truck and my garage floor. While Lisa and the kids and another “dropped off son” (thank you, Joe) sorted in the garage, my friend, Tami, and I started on the splits inside. What we found to work best was measuring in my gallon pitcher and then pouring into containers. Here's Tami, hard at it. Soon nearly every available surface was filled with grains and legumes. 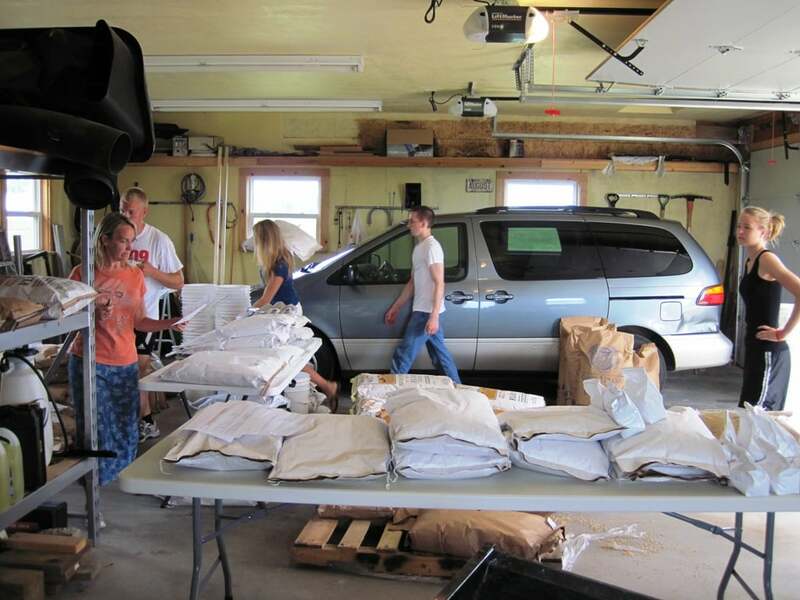 Lisa had to run for another appointment, but Joe continued sorting in the garage while Tami and I kept packing inside. We then discovered another interesting tidbit. Although they said they had shipped five 5# bags of wild rice blend (25# total), only six pounds arrived. At $3/lb, that's a significant difference. I contacted Natural Way Mills and that was corrected on the invoice. We also discovered that we had received 50 pounds of rye grits and 50 pounds of barley grits, when only 25 pounds of each had been ordered. I found home for 10 pounds of the barley, but am still debating what to do with the rest. I was told they didn't have 25 pounders available when they were loading the pallet, so they just threw on 50's but didn't charge extra. We're up north and most people don't eat grits around here. Here are a couple of the larger orders. I think the biggest one was 660#. My order was a little more modest – just over 200# – buckets, quinoa, flour, hard red wheat berries, hard white wheat berries and crystallized cane juice. In spite of all the glitches with Natural Way Mills, they do have good products at good prices. About a week after the shipment, I received independent third party organic verification on the order, which I wasn't expecting. I would just offer this advice to NWM: excuses are like armpits – everyone has them, and most are stinky at some point. A simple apology would have been much more pleasant than the surfeit of excuses I was given for the errors that occurred. So, that's my saga of the Great Grain Order. I hope you can learn from my mistakes, and perhaps consider stocking up for your family if you can, as unfortunately prices are likely to continue rising. 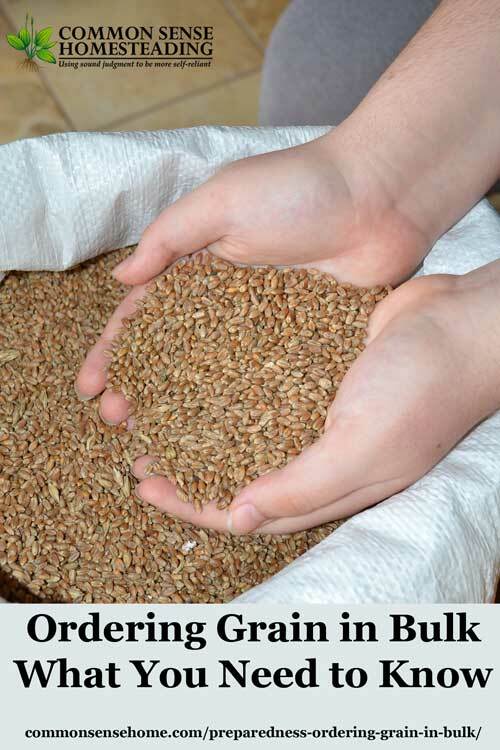 For more details on bulk food storage, consider the book “Crisis Preparedness” by Jack Spigarelli. Originally published July 2011, updated March 2018.
lol, I enjoyed reading this Laurie ~ if I would read my emails more often, I probably would have ordered, unfortunately, I am a deleter! Glad you got things figured out and organized ~ looks like such a large task! A long post, and a great heads up for the work that goes into arranging this type of order. I'm working on setting aside money in our food budget to do large orders. Your tips will be very helpful! Please, please, PLEASE check out my grain co-op!! i think i read in your bio that you are in Wisc. i have dealt with Country Life Natural Foods for a few years now and they are SO Amazing and honest, and ON TIME, and ordering from them is just a pure joy!! Please, just give them a call and talk to them about a drop point in your area, you will NOT be disappointed and the quality of their products is awesome!! different rices, wheat berries (montana wheat), SAF yeast, gluten flour, vanilla, spices, Extra Virgin Olive Oil first cold pressing in a 3 ltr tin that is the BEST i have EVER had, nuts and dried fruits, granola, seeds (sesame, sunflower, and flax), and my gamma seal lids. i have tried other stuff and do order other stuff but those are my basics! Kristie – sorry you missed it. It'll probably be a while before I do it again, but I can give you a heads up if you like. Barb – long post, lots of effort put into this. It was definitely a learning experience! Samantha – There's a Country Life Natural Foods group that orders out of Manitowoc, which is about 20 minutes from where I'm at. I ordered a couple of things through friends who are closer – their dried pineapple is the BOMB! I'm already a part of two different local buying clubs, one for United Natural Foods (UNFI) and one for Frontier, so that's where I get most of my bulk products. That said, if I do decide to do another bulk grain order, I'll be sure to give Country Life a good look. Patti – I was pulling my hair out for a bit, then I just took a really deep breath (or many…) and let go. Working the sorting and splits with good friends made the whole experience much more enjoyable. 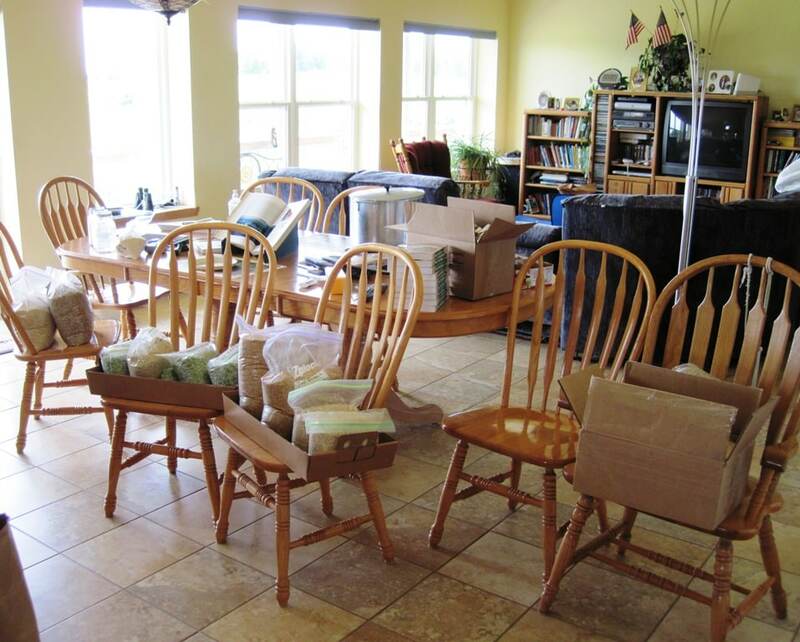 It is unfortunate that Laurie had a bad experience for her first order with Natural Way Mills. I know that during this time, they were going through employee changes and training – along with new rules from the freight companies that they have always used. As far as turning in a damage claim for $1.70…approximate cost of HRS for 5#, that would be silly. I have always had good experiences with them, and as far as getting an extra 50# of product for free…that is even better! I agree that $1.70 of lost product seems trivial – unless you're the customer who only ordered two items and had both of them arrived damaged. I know Melissa was wondering what happened to her wheat berries. I would suggest to Natural Mills that they add a FAQ section to their website. In this spot they could include information on minimum claim amounts. Accidents happen – we all know that. If a customer knows ahead of time that below a certain dollar amount no claim will be filed, then it's understood by both parties. Simple, effective, polite. The rudeness was what bothered me. I provided them with the information they requested and photographic proof of damage, and I never did hear back about it. It was like once the money was in hand, that was that. As for the 50# of free product – the free product was grits in Wisconsin. I couldn't give them away. I set aside a couple of pounds to try, and a few friends took a few more pounds, but the bulk of it will end up being organic chicken feed for a friend who feeds strictly organic. I am thankful I didn't get changed extra, but it was certainly no great windfall. Also, it was rather inconvenient to do a rush repack for the person who only ordered 25 pounds of each. She had hoped to do a quick pickup because she had a van full of kids and limited time, and instead she ended up waiting as Tami and I scrambled to repack only 25 pounds of each. It was a learning experience, and it wasn't all bad. Working with my friends was great! Oh my gosh what a pain Laurie – this is why I only deal with the farmers. These middlemen don’t care about you. I also want to urge you to use caution around DE – it is so fine it easily gets into the lungs and causes damage. If you are storing grains in an air/water tight container you don’t need it. Also you may have mentioned this but bay leaves are a natural dessicant. I throw a few in each 5 gallon bucket. Works like a charm. xo! Annette – thanks for mentioning the caution about DE. I don’t personally use it, but it is commonly recommended as an option. I’ve seen the bay leaves recommended, too, but most sources indicate they are generally less reliable than other options. My understanding was that they acted more as a bug deterrent than a desiccant, but perhaps I was mistaken. Either way, the first line of defense is to find clean product if possible, and keep it tightly sealed. This is a great article. Thanks for the details. It should help if we ever decide to do a bulk order for anyone but ourselves. What a lot of work you went through. I think if I new the potential problems to look for ahead of time, it would have gone much more smoothly. Hopefully others who are interested in doing this will learn from my mistakes and have an easier time of it. Natural Way Mills was also in transition at the time of the order, so I think I may have ended up with the “perfect storm”. I ONLY order my grains once a month through http://www.azurestand.com and I have NEVER had to go through all the hassle you have experienced, never. There are no shipping costs and they drop at a predetermined location where we all meet to pick up our own items that we order via their website. I LOVE Azure Standard, they have made ordering bulk SO easy!! Check them out, you will be so glad you did. No Azure Standard in our area yet, although I did mail them and double check. Some friends put in an order this year from Country Life Pantry and had MUCH less hassle. Thanks for a great post! Not only did you put a great deal of thought, time and energy into this project, but you also did the same to post about your experience. Because of you , I have a much better perspective on the do’s and don’ts! I have been mulling this very idea over for at least a year and was a bit overwhelmed as I had no idea how to go about such a task. Now that you have given me quite a bit of wisdom on this project, I am definitely going to go ahead and organize a community bulk buying event. You can do it! It takes time and effort, but I think it’s a good idea to stock up if you can. Just skip the mistakes I made! I order from Honeyville Grain. No matter how much you order, the shipping is always less than $5.00. Periodically, they have discounts which you get if you subscribe to the email notices. Never had a problem with the shipping and they ship via UPS. You can order anytime and not worry about trying to coordinate a mass order. I wouldn’t have had the patience to deal with all the people you had involved. That was worse than trying to deliver Girl Scout cookies! I realize that this is an old post and you may know about this company already — I am guessing that you still order some things in bulk given the state of things at present! You may want to check out Azure Standard (azurestandard.com) They recently added a route to the Atlanta area and deliveries have been a breeze. They ship only through Covenant Ranch Trucking which is a family owned and operated trucking company and they are wonderful! Not only do we receive an email when the order leaves the warehouse, the driver sends text updates along the way. I am the coordinator for a group of about 75 families of which 45 participate monthly. They also give the Drop Coordinators a Gratitude credit which usually covers my monthly order. Also, if Azure does not have a route near you, you can request and in September they review all requests! The folks that bug them the most get put on delivery route. Just thought you would like to know. Stay well and prepared! Hi Maryanne! Yes, I still order in bulk, although not typically this bulk. Azure just added a route through our area last fall. I’m also a member of an UNFI buying club that gets deliveries just five minutes from here (the Azure drop point is about 30 minutes away, and the roads have been bad this winter). We just had a Costco open recently, too. Lots more buying options available now. We recommend you stop eating grain – Now Our healthy family family of 5 gave away grain food over 2 years ago. Wheat (not the wheat as in the bible but the wheat modified by the Rockefeller Institute in the mid 60’s to ‘provide food for the planet’ *note 1/3 of the worlds food is thrown away) On of the side benefits with becoming wheat free was that our then 12 year old daughter had a serious ‘allergy to all hazelnut products…within a period of 3 weeks she accidentally ate something containing this product, waited for the throat itch and difficulty in breathing…nothing happened..That day we bought some hazelnuts to test her reaction….GONE!!! They DO charge a shipping fee of 8.5% for items shipped on the truck. It IS worth every penny! Our orders are nearly always correct (and in the very rare instance they are not, customer service is always so kind to make it right!). It isn’t just HUGE bulk. Want a 50lb bag of oats? Or maybe only 5lb? Yes to both! You can order cases of goods or just one to try. They have a huge variety of everything and don’t sell GMO! It isn’t just food either. They sell chicken feed, garden supplies, and much more. No, I don’t work for them. I’m not being compensated for my very honest opinion. I’m simply a satisfied customer who has used them for over 5 years. If they don’t have a route in your area, ask to be be notified when they do. Thanks for the update. I have modified the post accordingly. I have a friend who orders regularly through Azure, but I haven’t asked he to get anything for me recently. Another nice thing about Azure is that they carry fresh organic produce, which the others do not. One pound is equal to 0.453592 kilograms.